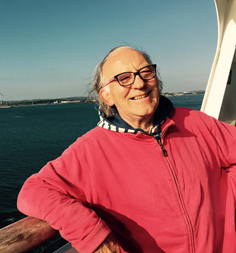 Laurie, an active member of SUT for over 40 years, is a Cambridge scientist, inventor and offshore projects manager. His early career was with Shell and Mobil and he followed this by founding Maris International (UK and Ireland) and CDL (IOM). He is the inventor and father of the ‘Continuous Drilling revolution’, Sustainable Mariculture and Deep Sea Power Generation Initiatives. Laurie is a fellow of four institutions, with awards from SUT, the Energy Institute, World Oil and Harts E&P Journals.